The peripheral circulation is extremely important for transporting blood around the body, exchange of nutrients with tissues and storing blood. As the tissues in the body vary their need for blood e.g. during exercise, the peripheral circulation will match the flow to the demand In this article, we will look at how flow is regulated through the peripheral circulation. Oxygenated blood leaves the left side of the heart via the aorta. This is a large elastic artery. The aorta progressively branches into smaller muscular arteries and thereafter into arterioles and metarterioles, finally ending in capillaries, which provide the blood supply at a tissue level. The pressure drops as we move from the aorta to the capillaries. The aorta has minimal resistance to flow, as compared to the arterioles, which have much higher resistance. When discussing changes in “total peripheral resistance,” we are effectively looking at the changes taking place within the arterioles as these are considered the resistance vessels of our circulatory system. Such changes allow the body to increase or decrease blood flow to a tissue and thus alter gaseous exchange as necessary. Stroke volume refers to the volume of blood that is ejected by the left ventricle with each contraction. As previously discussed, the arterial system is high pressure and low resistance. This high pressure is important in order to allow blood to be pumped through the high resistance present in the arterioles. If we add up all of the arteriolar resistances, this will give us a value, which we refer to as the total peripheral resistance. An artery with a diameter less than 0.1mm is called an arteriole. They have a muscular layer, often consisting of a single layer of smooth muscle cells.Further information on the anatomy of blood vessels can be found here. Fig 1 – Structure of an artery wall. By regulating the vasomotor tone of arterioles (amount of tension/contraction of the smooth muscle in the walls), we can control the blood flow to the capillary beds. This is achieved by controlling the vasoconstriction and vasodilation of the arterioles. At rest, there is a high vasomotor tone i.e. the tonic contraction of the smooth muscle is higher. This is because the tissues require less blood during rest. The sympathetic nervous system is largely responsible for controlling the vasomotor tone. This causes noradrenaline release, which then acts on α1 GPCRs (G-protein coupled receptors). The vasomotor tone of arterioles can be altered in response to changes in tissue requirements for blood flow. Metabolically active tissues release vasodilator metabolites such as H+, CO2, K+, adenosine and lactate. These have a knock on effect in reducing the vasomotor tone by causing vasodilation of the arterioles through smooth muscle relaxation. As the resistance in the arteriole has reduced, the blood flow to the tissue can increase. This is useful as it allows the blood to transport metabolites away from the tissue, thus helping to limit potential toxic effects to the tissue. Once the metabolites have been removed, the vasomotor tone will return back to its normal level. Myogenic factors can also alter vasomotor tone. For example, when the arterioles experience a rapid increase in intraluminal pressure such as due to violent coughing, the arteriolar smooth muscle will contract in order to defend itself from the rise in pressure. Additionally, the arteriolar endothelium can release biological factors known as autocoids. These behave in a similar way to hormones and can therefore increase or decrease the vasomotor tone. When there is a lack of blood flow to an area vasodilator metabolites accumulate in large concentrations. This leads to maximal dilation of arterioles are there is no blood flow to wash away these metabolites as they are produced. As a result of this when blood flow returns resistance is very low and flow is very high. The high flow then washes away the metabolites, leading to contraction of smooth muscle and flow returning to normal. This often occurs as a consequence of Raynaud’s phenomenon where the ischaemia caused by vasospasm causes an increase in blood to remove waste products. 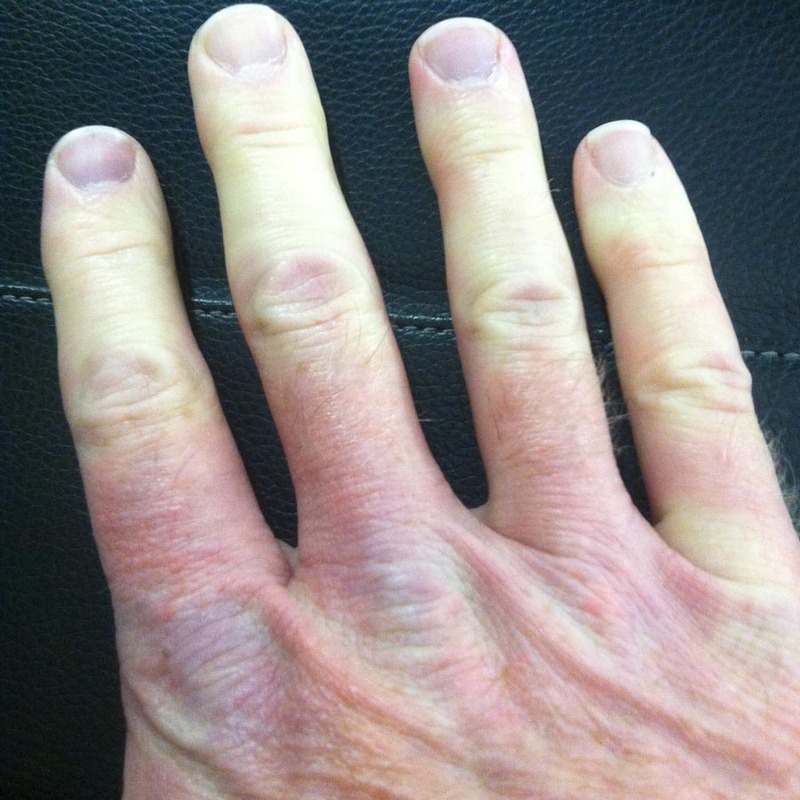 Fig 3 – Pale fingers as a result of Raynaud’s phenomenon. 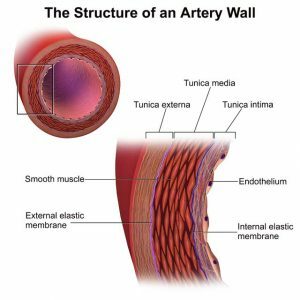 What type of blood vessel is the aorta? Which blood vessels are most capable of changing total peripheral resistance (TPR)? Considering an arteriole at rest, how can it alter its own resistance?